Protect and preserve your skin’s youth with the Clarins Extra-Firming Day Cream SPF15 - All Skin Types, a daily moisturiser that smoothes away fine lines and wrinkles. The Extra-Firming Day Cream SPF15 will firm, lift and hydrate your skin, whilst defending it from damage from UV rays which accelerate signs of ageing. Fresh, silky and pleasurable to use, this daily protector will keep your skin plump and healthy, day after day. 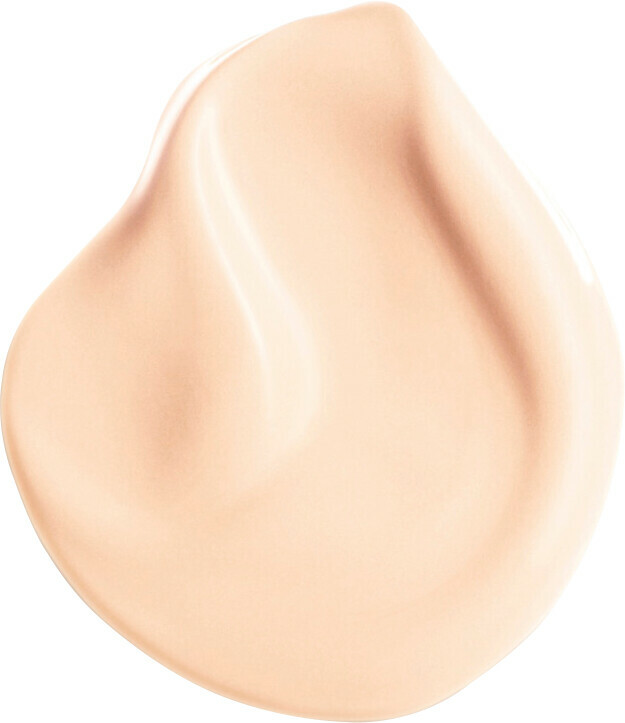 Infused within the Extra-Firming Day Cream SPF15 lies the innovative kangaroo flower extract, a plant-powered botanical that preserves the necessary production of fibroblasts in the skin. This rejuvenating cream stops skin slackening as the structure within the dermis is supported and enhanced by this age-defying formula. 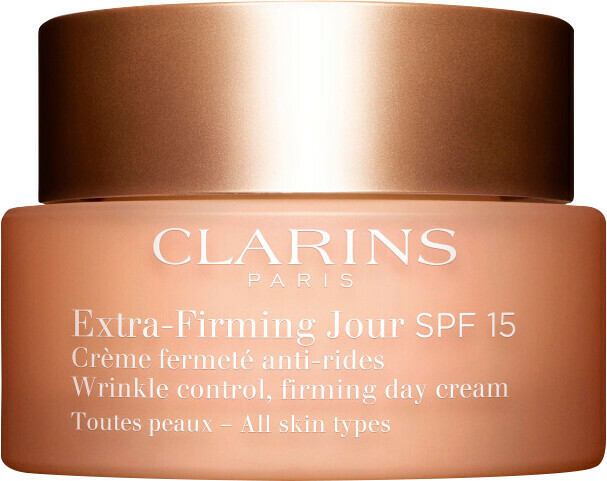 Apply the Clarins Extra-Firming Day Cream SPF15 every day to a freshly cleansed skin and neck. Clarins Extra-Firming Day Cream SPF15 - All Skin Types 50ml is rated 4.9 out of 5 by 10. Rated 5 out of 5 by Dee50 from Very effective I'm 52 and fortunately only just starting to feel a little saggy round the jawline and skin tone becoming patchy and dull ... but no more ! My skin felt a little uncomfortable for a couple of days as it got used to the lotion but then oh it felt smooth hydrated and looked brighter already ! And after 2 weeks my skin is firmer , plumper , I will be buying this again !! The smell is pleasant and not overpowering , very pleased with this lotion ! Rated 5 out of 5 by Crazynurse from Best ever moisturiser Although this states for age 40, I have used for years, and am now a well preserved 70! What is so good, is that it absorbs quickly into the skin, is really non greasy, and lasts all day. The bottle lasts for months. Rated 5 out of 5 by Pinklulu from Fab product I love Clarins and this lotion is gorgeous. Goes on like s dream and my skin is really good as a result, but you get what you pay for. Rated 4 out of 5 by Margherita1 from A Classic! I have been using this for years - an excellent product and with plenty of sun protection. It is light and not at all greasy, suits all skin types and is, in my opinion suitable for use at any age. Escentual sell this at a very competitive price, so I always buy from them, they also offer a top class customer experience.